A GLOBAL peace forum based in Coventry has appointed a new academic director to lead the organisation into a new era. 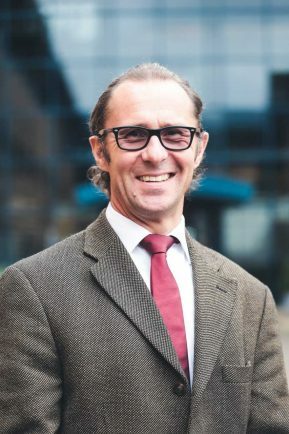 RISING Peace Global was founded in 2015 by Coventry University, Coventry Cathedral and Coventry City Council – and has elected Professor Matt Qvortrup of Coventry University as its new academic leader. The forum, which is also supported by Archbishop Desmond Tutu, exists to promote new ways of thinking about peace and conflict. Professor Qvortrup’s role will see him build on the organisation’s success and focus on the practical understanding of peace and how this can be achieved in modern society. A number of small events will be held across the world during the next year featuring speakers including practitioners, civil servants and politicians who have practical experience in working towards and achieving peace. RISING will look at the art of discovering peace by focusing on three themes, including breaking the ice with the enemy, agreeing a deal and implementing the ‘peace plan’. This will culminate in Coventry’s RISING 18, a two-day event in autumn next year which will feature speakers whose experiences will be debated by academic experts. The event will also be broadcasted worldwide across various platforms in an effort to reach new audiences. Professor Qvortrup has been at Coventry University since 2015 and is an expert on democracy, constitutions and European Politics. He was awarded the PSA Prize in 2013 for his research on terrorism and political science and served as a Specialist Advisor to the House of Commons Public Administration and Constitutional Affairs Committee and has previously worked as member of President Obama’s Special Envoy Team in Africa. He said: “RISING has looked at many different strands of peace, but looking forwards, we will be taking a more focused approach, exploring three well-defined themes. “It is important to us that RISING actually makes a difference and helps us all to focus on what we can learn and avoid when looking at creating peace. He added the team will utilise Coventry University’s expertise to create and publish a book around RISING 18 which can be distributed and used by those working to create peace.